Pennsylvania Gov. Tom Wolf discusses his diagnosis of what he called treatable prostate cancer with members of the media in his Capitol offices, in Harrisburg, Pa. Jolted by Gov. 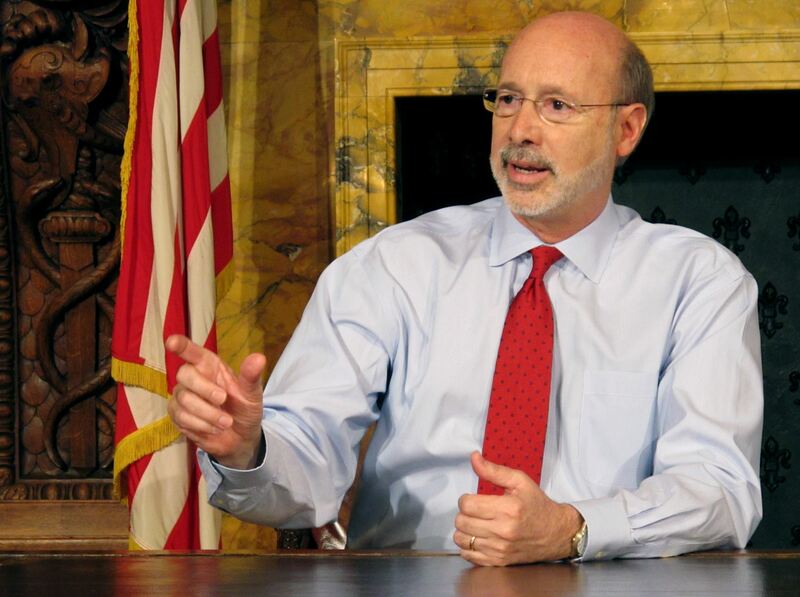 Tom Wolf’s diagnosis, more Pennsylvanians may be taking a close look at their risks for prostate cancer, several specialists predicted Wednesday. While routine screening can help save lives, the doctors said, aggressive tests and therapies aren’t for everyone. Among the 10,000 men diagnosed with the disease in Pennsylvania each year, about a quarter will undergo only observation, not immediate treatment, according to estimates from urologists. “Prostate cancer can sit there and do nothing for years — and we don’t know why,” said Jeffrey Cohen, director of urology services for the Allegheny Health Network. He cast it as “a very different type of cancer” from those in the lungs, colon and uterus that often spread much faster. Common screening for prostate cancer likely dropped about 18 percent from 2010 to 2013, an American Cancer Society study suggests. The dip followed a controversial relaxation of testing guidelines from the government-appointed United States Preventive Services Task Force, which began advising in 2011 that doctors should halt automatic blood screening in men. Task force members found the universal approach caused more harm than good. Side effects from treatment can include incontinence of urine, erectile problems and permanent tissue damage, all of which may be more harmful than a slow-growing or other mild prostate cancer, doctors have said. Still, the cancer society recommends that men talk with their physicians about whether regular screening is a good idea. The conversations should begin at age 50 for men with average risk, although they should start sooner for men with higher risks, including African Americans and those with a family history of the disease, according to the recommendations. “This is a hard decision for a man to make by himself,” said Rich Wender, chief cancer control officer at the cancer society. The group urges men and their doctors to ”take into account a man’s personal values” when determining whether to screen. U.S. mortality rates from prostate cancer have fallen about 40 percent since the introduction of a routine blood test in the late 1980s. Now about 27,500 men nationwide die from the disease each year, while about 220,000 are diagnosed. Cure rates for cases caught early can top 90 percent, Dr. Wender said. At the same time, Dr. Davies said, clinicians long “over-treated” prostate cancer, giving all patients the same treatments regardless of individual tumor risks. Medical guidelines typically advise that men over the age of 70 and those with severe health conditions may skip the screenings.